LacZymes is a research group focusing on enzymes involved in antibiotic resistance. The enzymes breakdown the ß-lactam antibiotics and make the drug in active. The enzyme class is called ß-lactamases, and includes both metallo-ß-lactamases (MBLs) and serine-ß-lactamases (SBLs). The MBLs have zinc ions in the active site, whereas SBL have a serine residue in the active site. 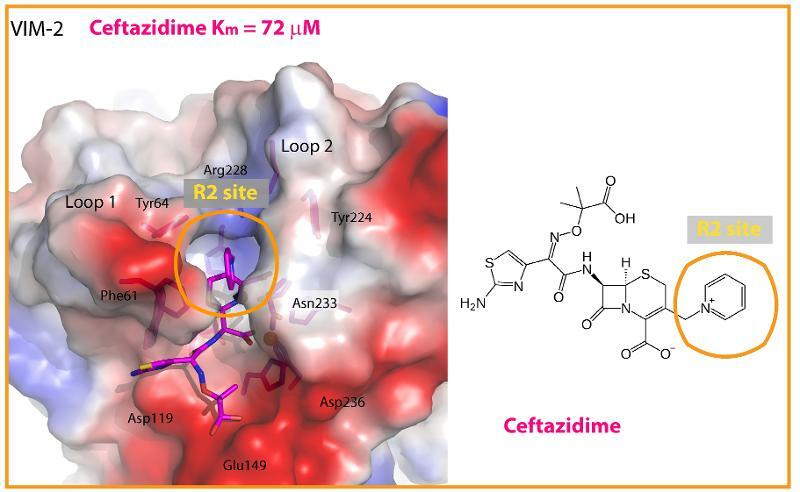 Our long-term goal is to find new inhibitors for both ß-lactamase classes. If we find a new good inhibitor this inhibitor can be given in combination with a ß-lactam to prolong the lifetime of the currently used antibiotics. The group of ß-lactam antibiotics include penicillins, cephalosporins and carbapenems. The ß-lactam antibiotic have been on the marked for a long time, they are used, but worryingly many bacteria are resistant to these drugs. The most common resistance mechanism towards ß-lactam antibiotic is production of ß-lactamase enzymes. We aim for solving ß-lactamases crystal structural at atomic resolution, characterize the same structures in biochemical assays in solution, and apply Surface plasmon resonance (SPR) to determine binding and release of inhibitors and substrates.